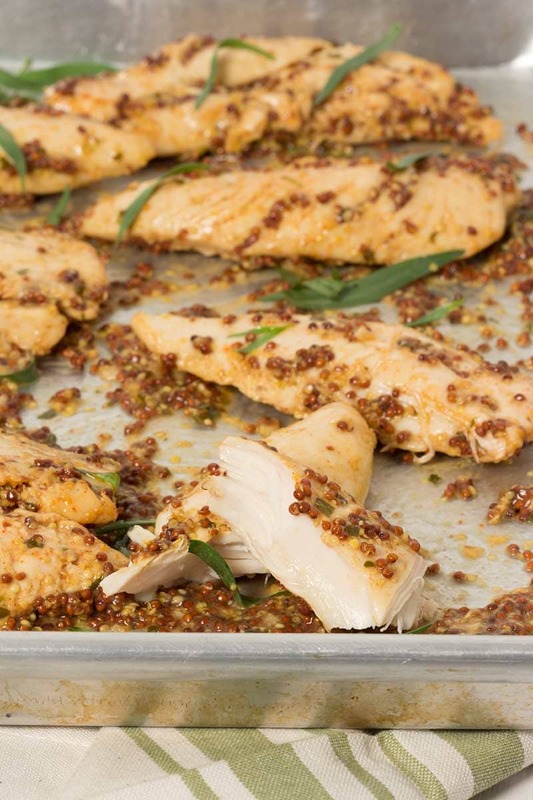 How amazing does this Baked Chicken Tenders recipe look! Made with a delicious mustard sauce by Diabetes strong. A Paleo Pork Egg Roll in a Bowl is the perfect holiday dish. 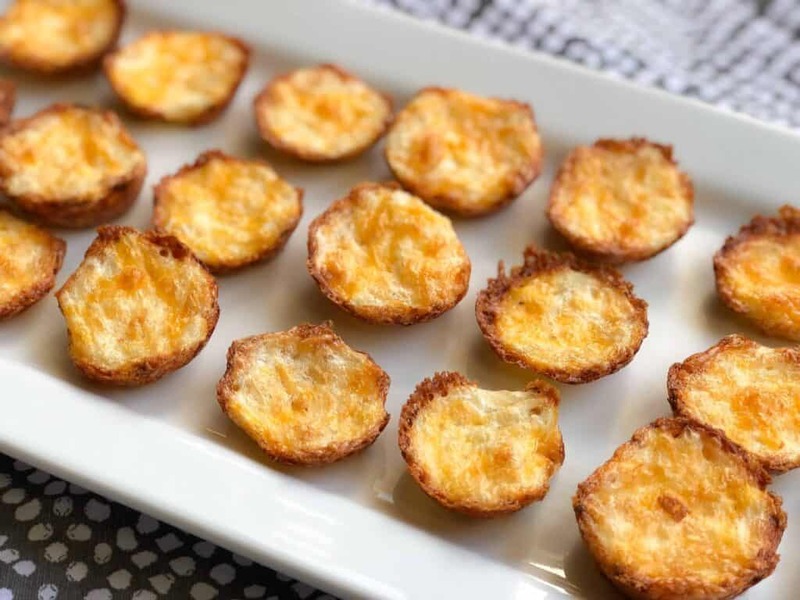 Make it at Peace Love and Low Carb. This Low Carb Chili is perfect for a cold winter day. 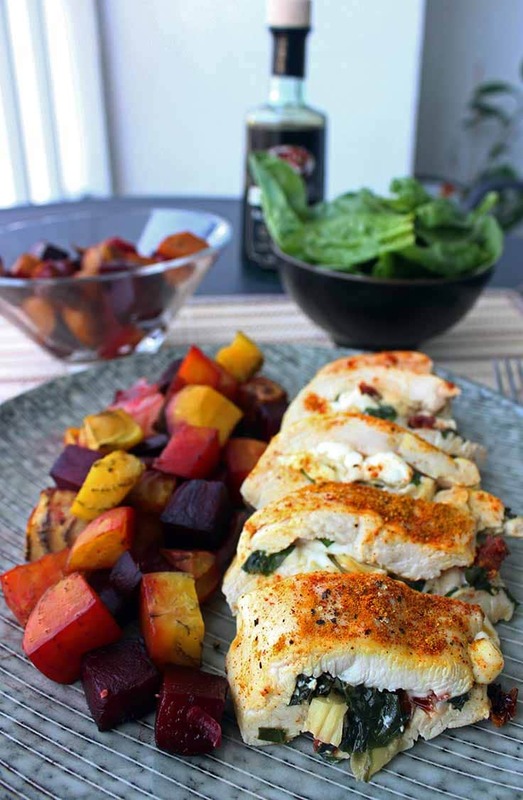 This Stuffed Chicken Breast is on my New Years Menu plan. 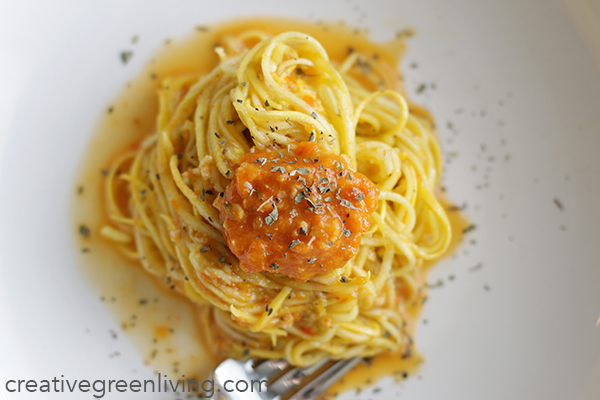 This Red Pepper Pesto with Squash Noodles looks amazing. 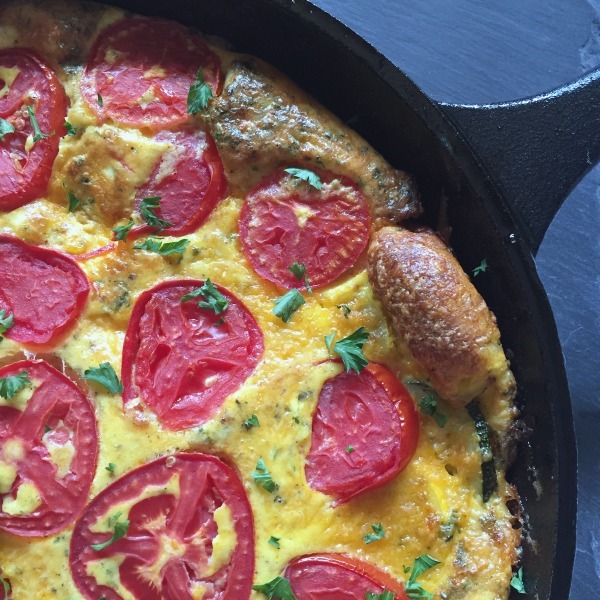 You’ll love this Summer Squash & Tomato Frittata. 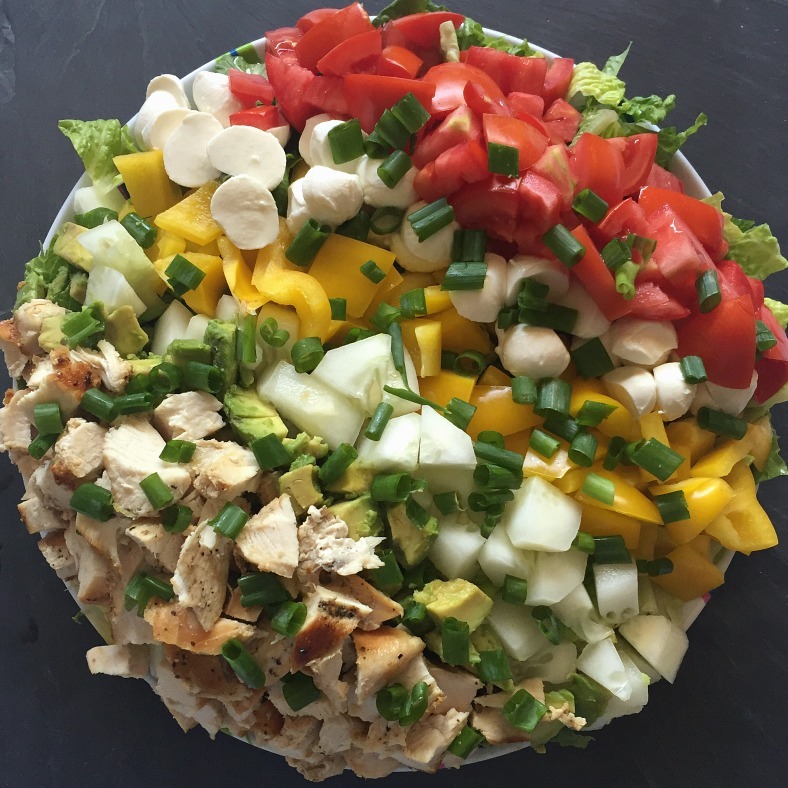 If you love salad, you’ll have to try this Chicken, Avocado and Mozzarella Chopped Salad. 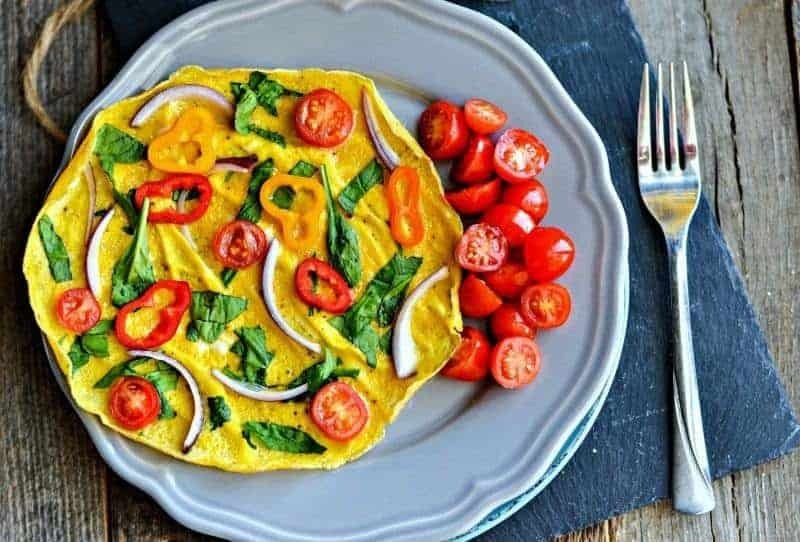 This Veggie Omelet looks easy and delicious! 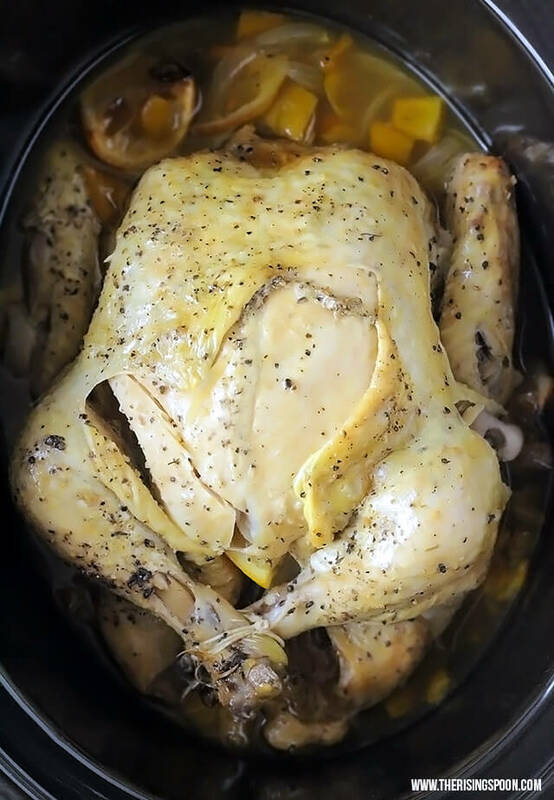 This Lemon Pepper Whole Chicken is cooked in your Slow Cooker! 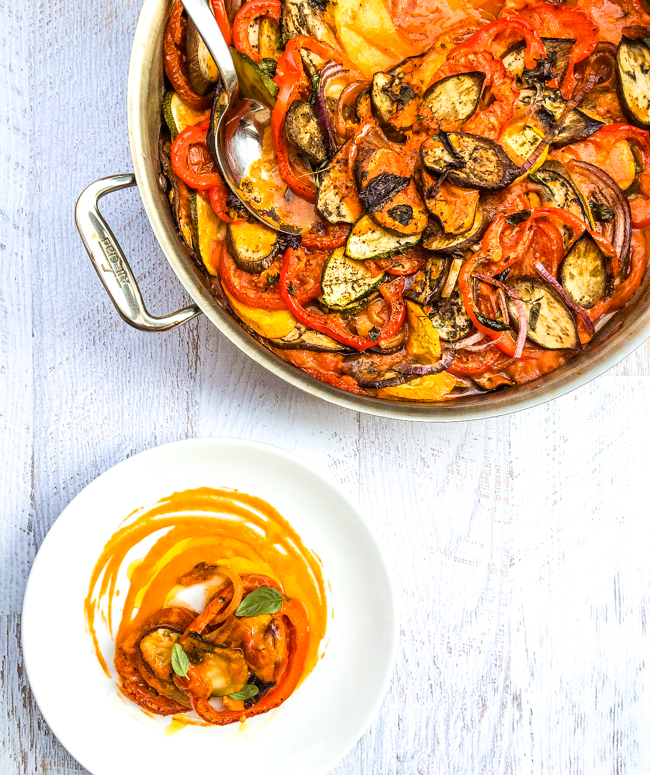 Look how colorful this Ratatouille recipe is! 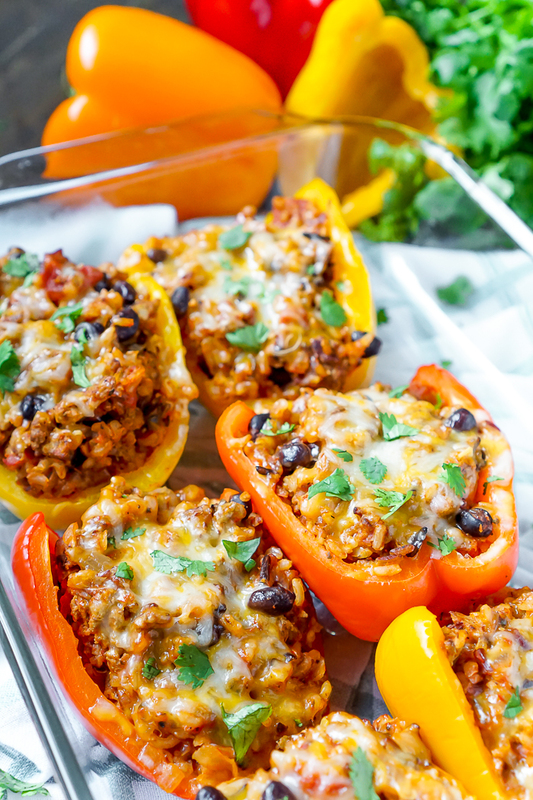 These Turkey stuffed peppers are hearty and delicious! 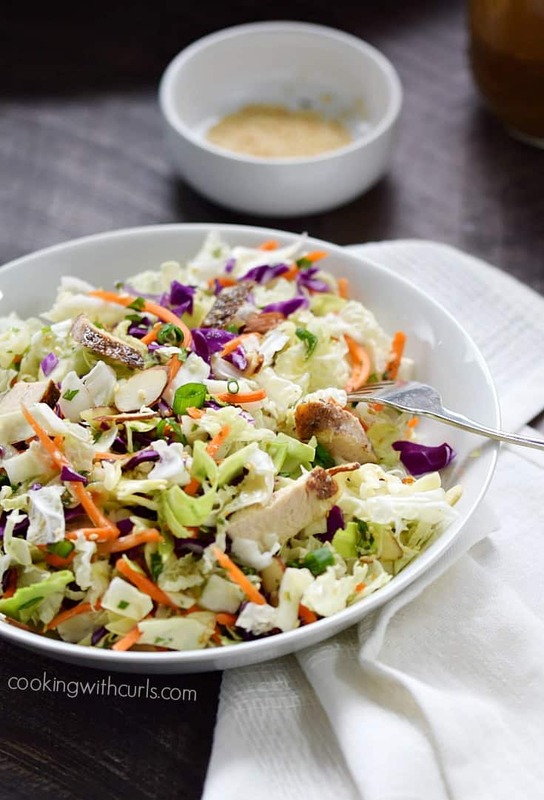 What a delicious Asian Sesame Chicken Salad! 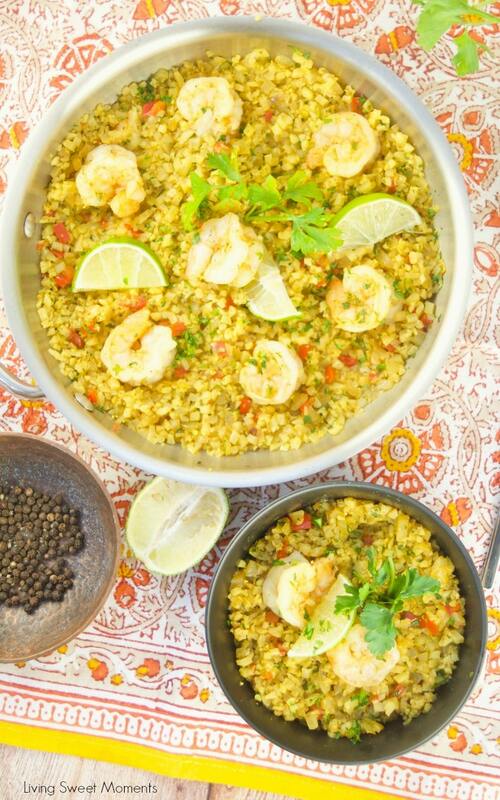 This Curried Riced Cauliflower with Shrimp is a must try recipe. This Loaded Cauliflower Casserole is sure to hit the spot. 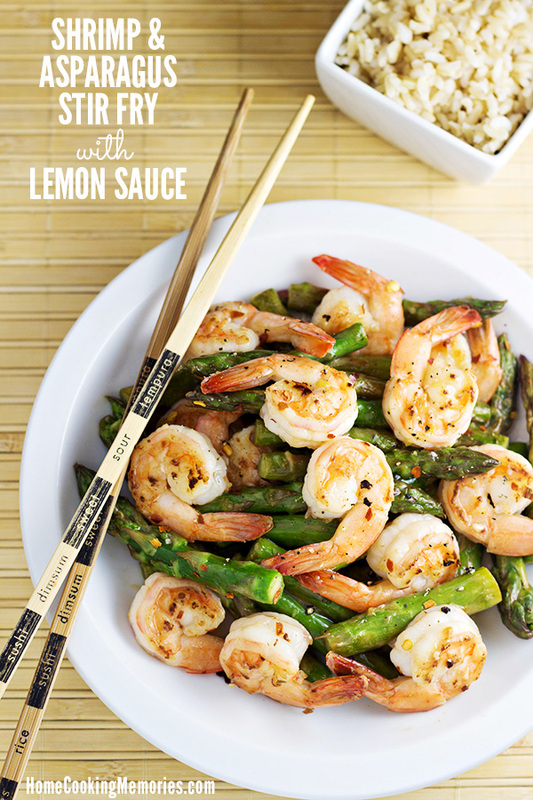 This Shrimp and Asparagus Stir fry looks amazing. 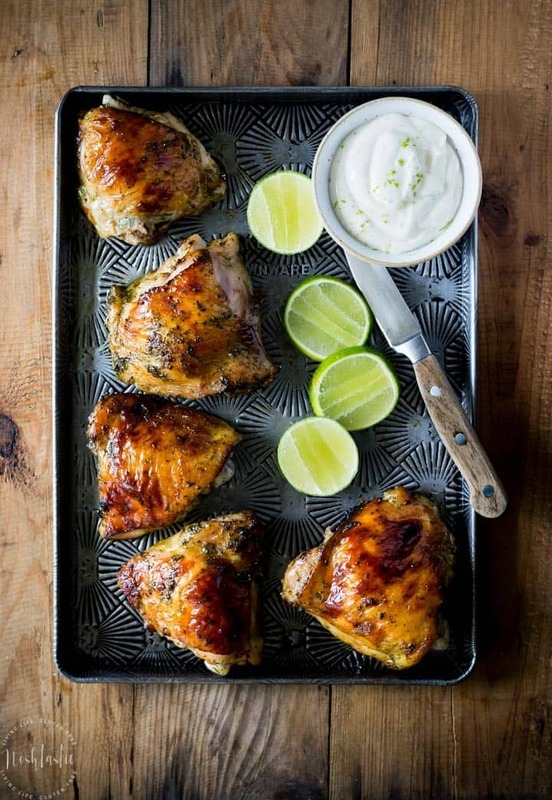 Check out these drool-worthy Cilantro Baked Chicken. 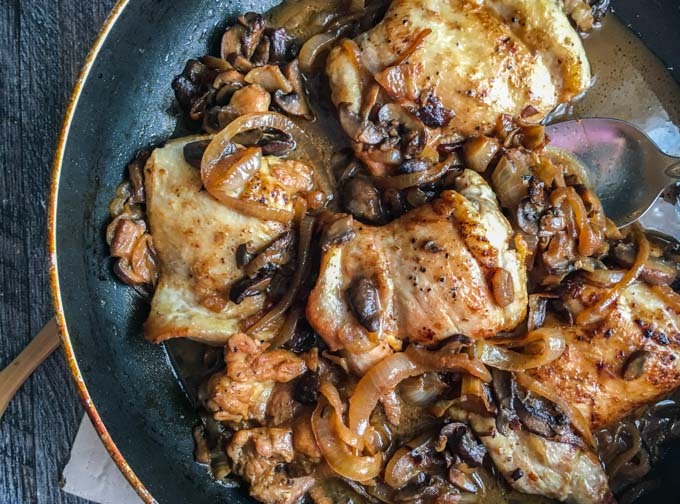 Wow– That Skillet Chicken with Mushrooms looks so good. 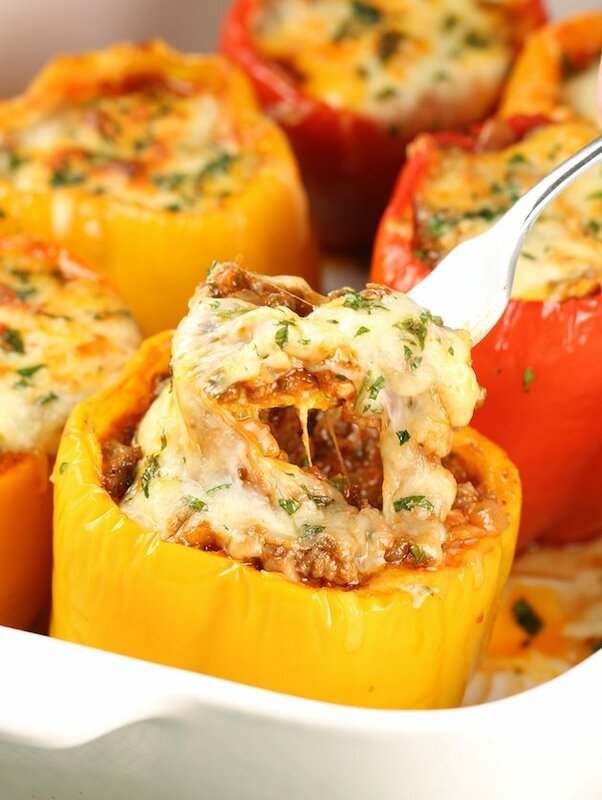 No words for how amazing these Lasagna Stuffed Peppers look!! 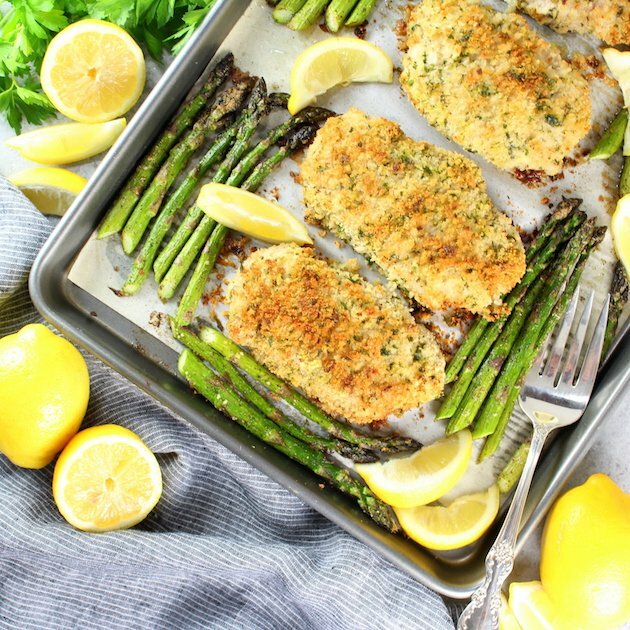 Who wants some Parmesan Pork Chops and Asparagus? 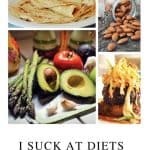 My husband would love these Steak Bites and Asparagus. Yes, please! 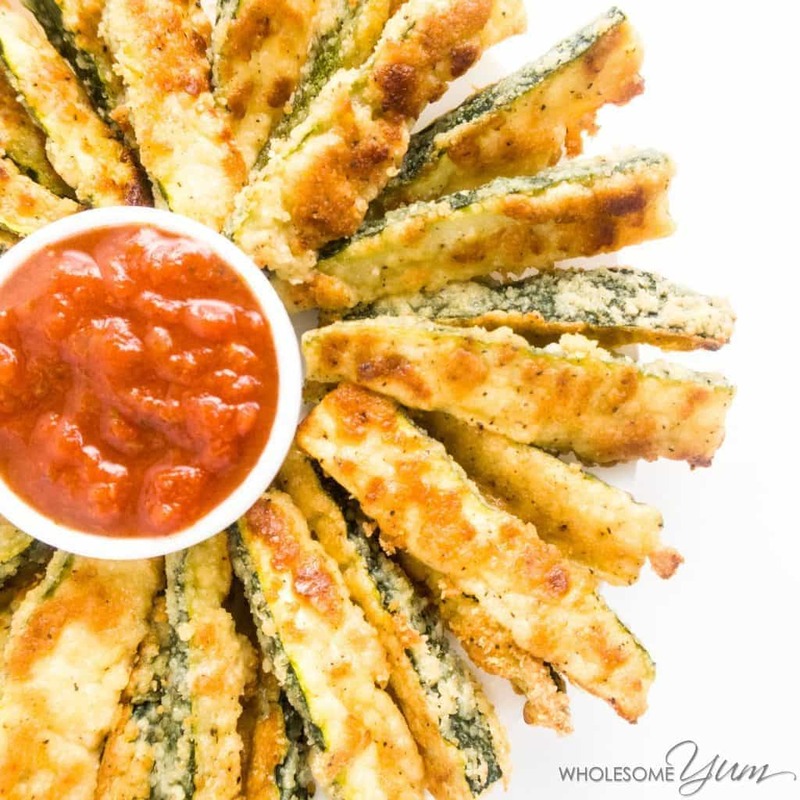 I’d love some Zucchini Fries! 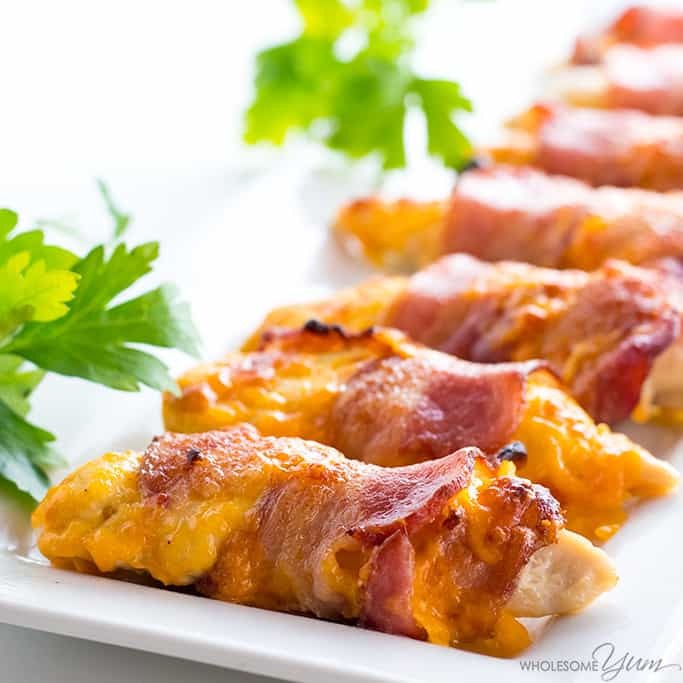 These Bacon Wrapped Chicken Tenders are perfect New Years meal. 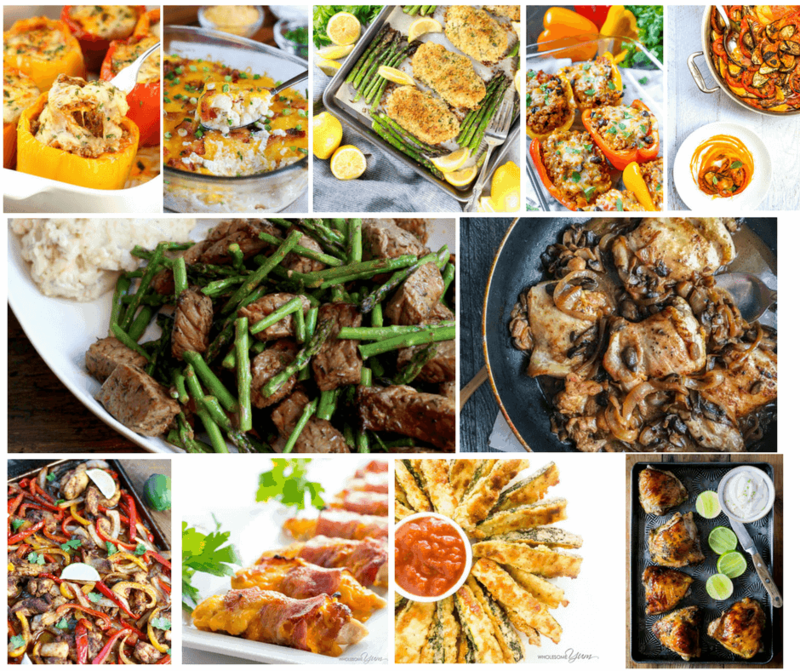 I am excited to try these Sheet Pan Chicken Fajitas. 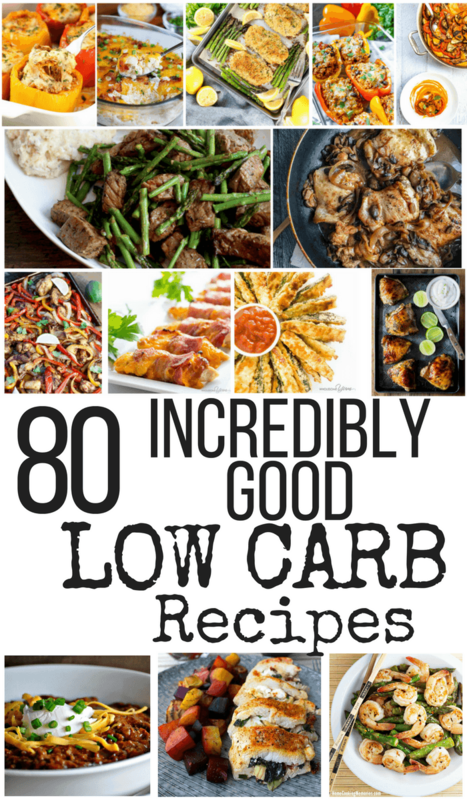 Other Low Carb Recipes that you will love! Next Post: Paddington 2 in theaters January 12th. Lets celebrate with a Paddington 2 Giveaway!